Don’t believe your eyes ever again! Make dazzling illusions that twist your brain and make your friends look twice. This whopping gift box is packed with cool kit to get you started. Read all about optical illusions in the handbook. Then get to work creating some. 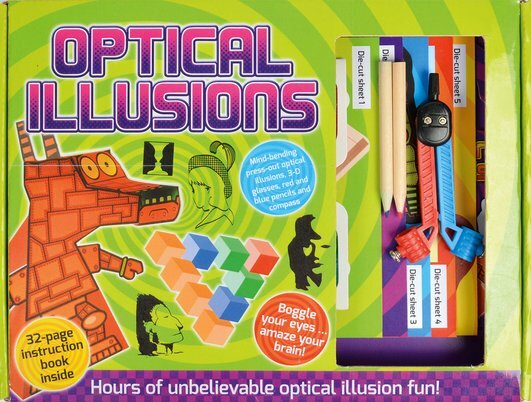 You get amazing 3D glasses, a compass with pencils and a set of press-out illusion cards. There’s even a door hanger to make sure no one disturbs you while the Master Illusionist is at work.